Goodbye to Atom? The NB550D is Toshiba’s latest flagship netbook, featuring the new AMD C-50 APU along with an AMD Radeon HD 6250 graphics unit and high-quality Harman Kardon speakers. Is it the perfect entertainer for €349, even without a matt HD display? The first Brazos netbook excels at graphical tasks, and battery life is immense. If only it had arrived last year. While Toshiba's NB500-series is stylish across the board and the speakers on the higher-end models are certainly impressive, we can't help but think the NB550D's C50 CPU is poorly complemented by a sub-HD Ready screen and only 1GB of RAM (we hope a higher-specced model will be brought out soon). However, if its price remains below £300 it's likely to be a very strong contender, especially considering its premium feel and impressive battery life claims. Unlike Toshiba's previous netbooks which came equipped with Intel Atom processors, the NB550D comes with a dual core 1GHz AMD C50 processor. It should not only be faster and more energy efficient than AMD's previous netbook chips, it also has an integrated HD 6250 graphics processor that should be capable of playing high definition video. 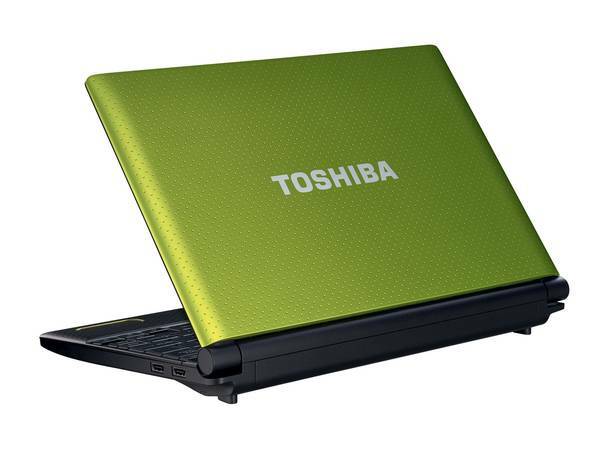 The Toshiba NB550D feels sturdy, looks good, it's light and it has good speed for a netbook. The HDMI port should make it appeal to users who want something small that they can plug into their TVs to watch streaming video or downloads. Note that we did see choppy video on our high-defintion television. We also wish it had better battery life, as its performance in our battery test doesn't stack up well against recent competitors. AMD Radeon HD 6250: Integrated graphics card in the Ontario netbook processors (e.g. C-50 and C-30) featuring an UVD3 video decoder and no dedicated memory. Only some 3D games with very low demands are playable with these cards. » Further information can be found in our Comparison of Mobile Graphics Cards and the corresponding Benchmark List. C-50: Dual Core low power processor with an integrated graphics cards. Due to the low clock speed, the CPU should be only as fast as a single core Atom CPU, but offers a faster integrated GPU.» Further information can be found in our Comparison of Mobile Processsors. 83.33%: This rating should be considered to be average. This is because the proportion of notebooks which have a higher rating is approximately equal to the proportion which have a lower rating.